Okay, Boston’s Bu-curious, this one’s for you. 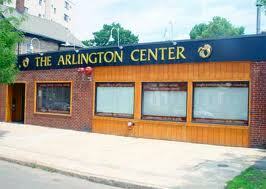 I visited The Arlington Center in (ahem) Arlington Center today. It’s a yoga and meditation studio at 369 Mass Ave. I chose a guided meditation class for my first experience, and it was terrific. Chip Hartranft, author of a new translation of The Yoga-Sutra of Patanjali and founder/director of TAC, leads a 90 minute medie for about a dozen practitioners on Fridays at 10am. He is articulate, sincere and gentle in his guidance, and welcoming to each student, new or experienced. The room is clean and bright with lots of benches, mats, blocks and bolsters to keep students comfortable during the session. Visitors only need to bring their Bu-curious minds and 17 bucks in cash to partake in a bit of Zen. The Arlington Center offers other classes: Iyengar, Vicaara and Kripalu, yoga for kids and cyclists, Pilates and Tai Chi are a few titles on the calendar this September. I’m looking forward to attending some upcoming workshops onsite, too: Listening to our Callings, a two-hour lecture on Sunday, September 9, and Breathwork, a two-hour class on Saturday, September 29. Join me if you can or check out their online calendar of events to find another topic that peaks your senses. Drop-ins are welcome.